I love winter, but not the freezing-your-toes-off, dreary-as-antarctica kind. And this week has been just that. Enter lazy meals that require ten minutes prep and an hour in the oven. 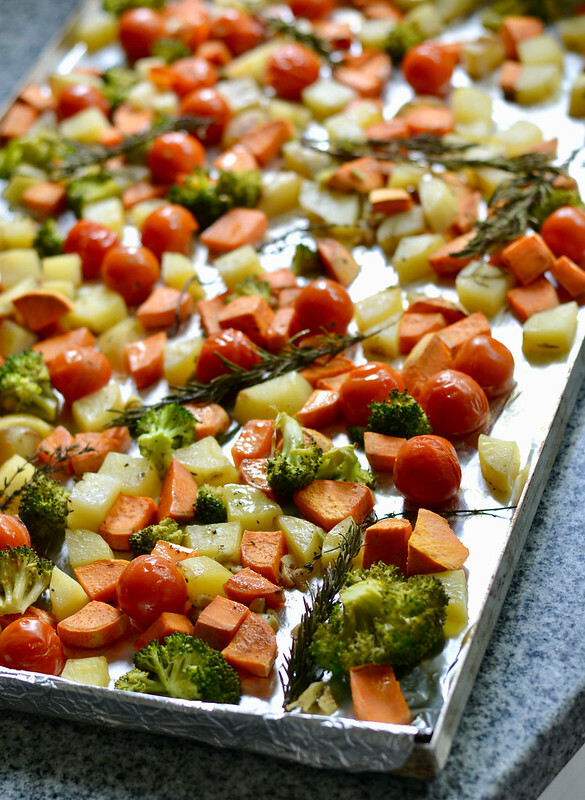 These honey roasted vegetables with garlic are the perfect example. Bonus: they warm up the kitchen AND make the house smell amazing. There’s a special place in my heart for meals that basically cook themselves. Chop, season, bake, and voila! A hearty, comforting dish of deliciousness that looks like it took way more effort than it actually did. The kids will never know, unless they can cook themselves- in which case, why are you here?! 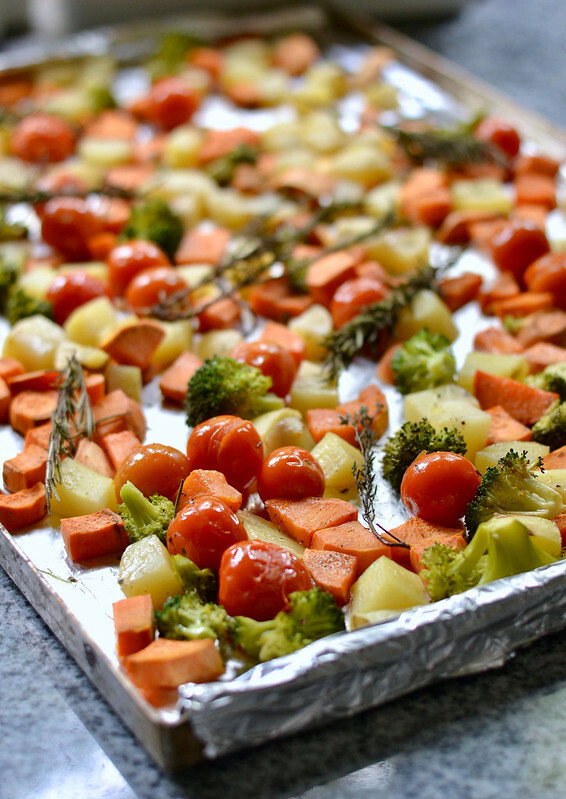 Preheat oven to 220 C and line a large baking sheet with foil (you don’t have to, but it makes cleanup much easier). 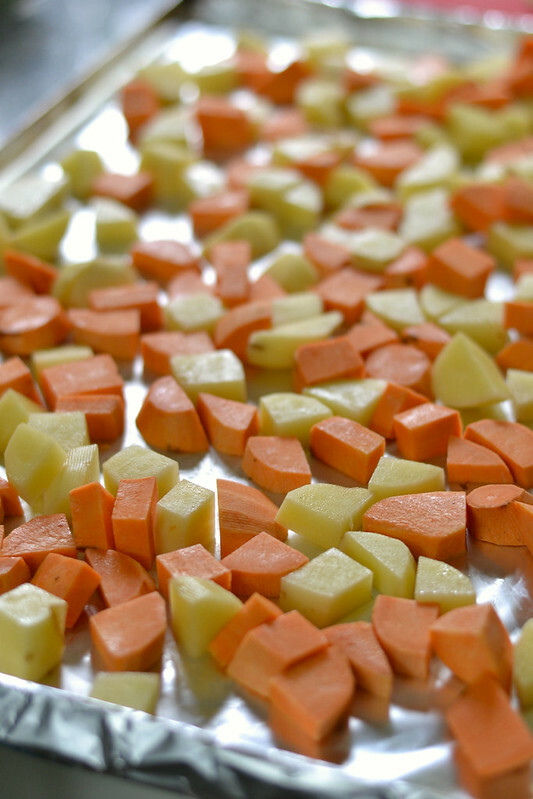 Spray it with oil and then add potatoes and sweet potatoes. 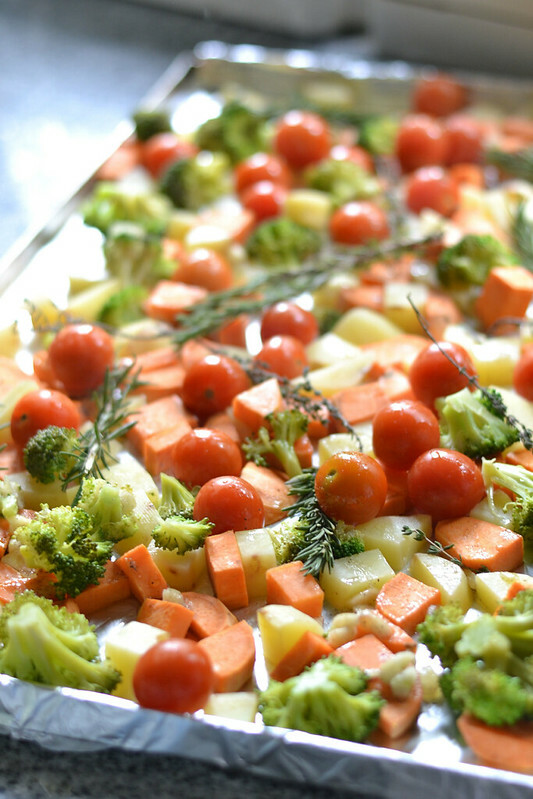 Bake for 15-20 minutes and then take out the tray to add broccoli and tomatoes. Heat the oil gently in a small pan until barely hot. 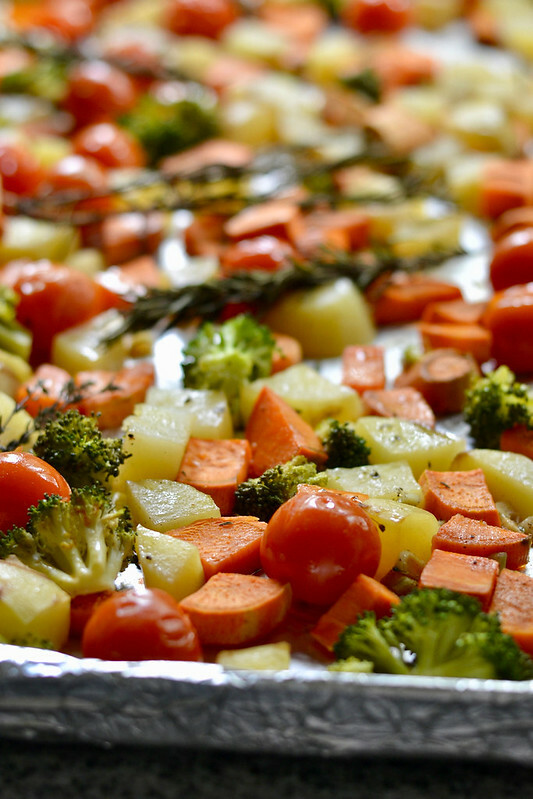 Add garlic, herbs, salt and pepper, and oil to vegetables and mix well. 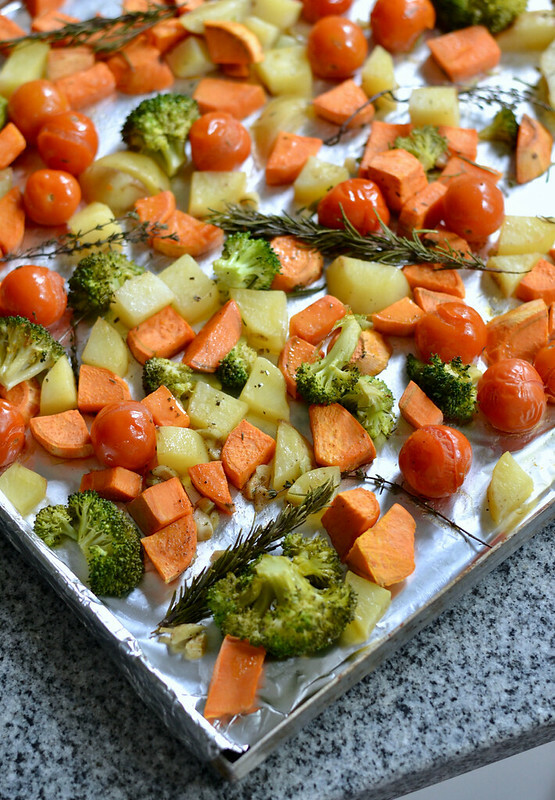 Drizzle with honey and bake for another 25-30 minutes or until potatoes and sweet potatoes are done. Serve with a side of turkey and gravy, then go take a nap. You’ve earned it. Welcome to my 286th attempt at starting a blog (and keeping it going). I'm Nevine; twin mom, infertility survivor, wannabe writer, and lover of everything kitchen-related.